As hundreds of rescuers combed the Florida Panhandle for missing people in the aftermath of Hurricane Michael, Amber Gee found her uncle and aunt when she used a government interactive satellite map and spotted their H-E-L-P message on the family's front lawn. 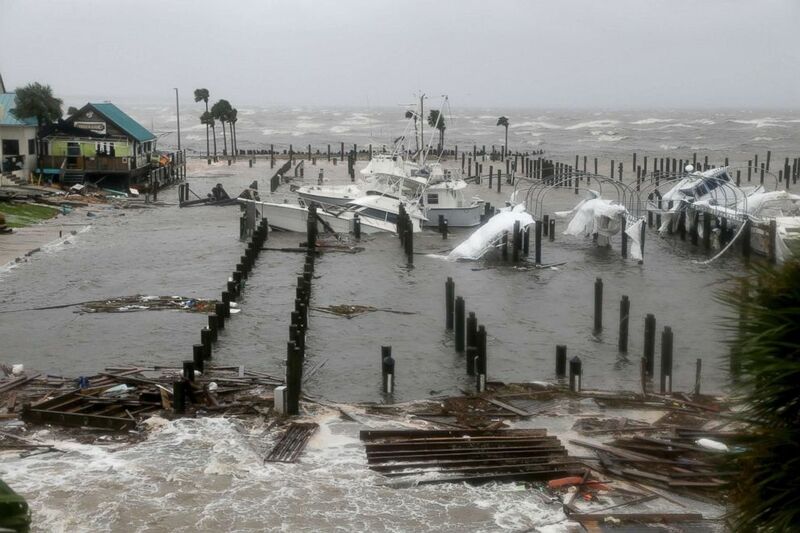 Gee, a mother of a 2-year-old girl and 3-month-old boy, evacuated her home in Callaway, Florida, just south of hard-hit Panama City on Thursday, a day after the category 4 storm made landfall. She assumed her relatives followed suit. 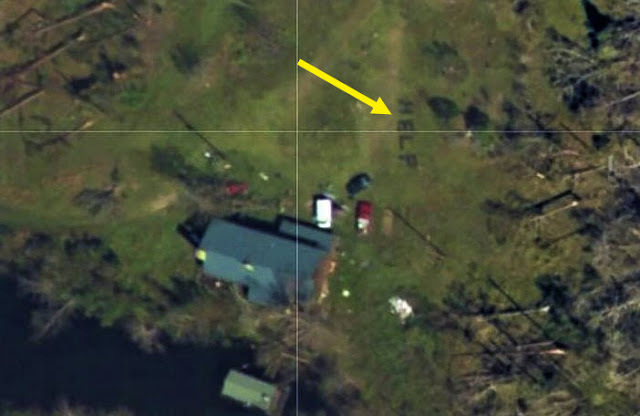 But on Saturday, she was searching the National Oceanic and Atmospheric Administration interactive satellite map and to her astonishment saw the word H-E-L-P spelled out in logs on her grandmother's lawn in Youngstown, northeast of Panama City. Her uncle, Ernest Gee, had used trees knocked down by the hurricane to cobble together the S.O.S., she told ABC News on Sunday. "I was checking on damages in the area on houses that belong to my family and I came across my grandma's house," said Gee, 24. "And they had the word H-E-L-P written out in the yard." While her grandmother, Emily Bently, who is in her 80s, had already evacuated, her uncle, Ernest, his wife and a friend of theirs stayed behind and ended up trapped, she said. "I had been seeing this link to images all over Facebook and I decided to check it out," Gee said. 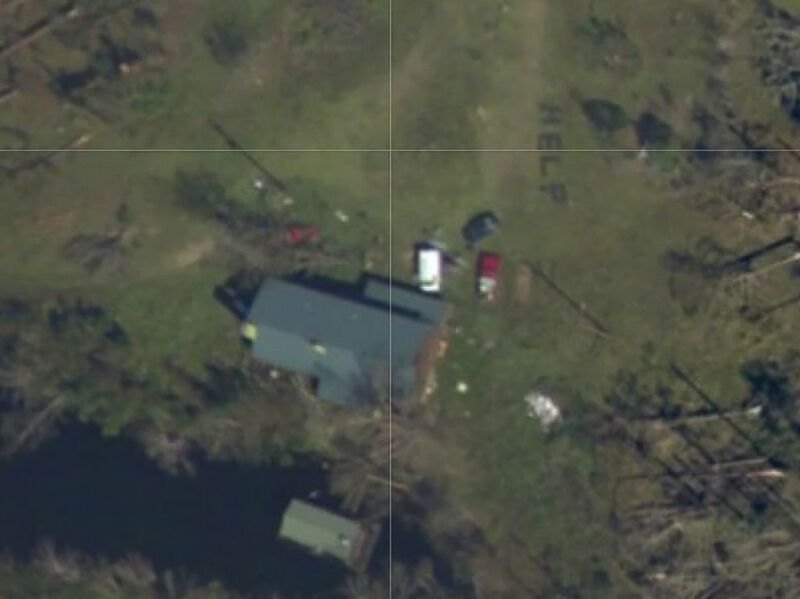 "We lucked out and I was able to get some of my family some help and get them out of the property. "I didn't think it was really going to work. ... But luckily enough, my uncle who was staying there and was thinking outside of the box, wrote the word H-E-L-P out." 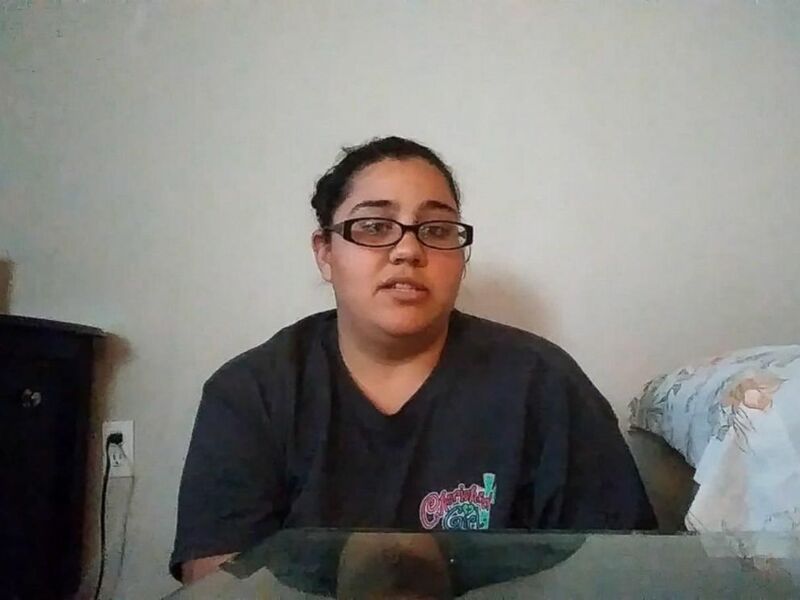 After seeing the distress signal, Gee posted the image of the H-E-L-P message on the Bay County site and called her local emergency services officials and asked for a welfare check. A team from the Dade County Sheriff's Department made it to the house about 2 a.m. on Sunday and rescued her family members and their friend. "Apparently, they had to cut through a lot of downed trees to get there," Gee said. Gee said she was relieved to hear her relatives were safe. "The hurricane has turned everything upside down everywhere," she said. "Some were more fortunate than others. I'm just happy that everybody is safe and sound and, hopefully, soon we will all get through this together and recover from this storm."